Witchcraft, I tells you! Candied Apple across the lid. 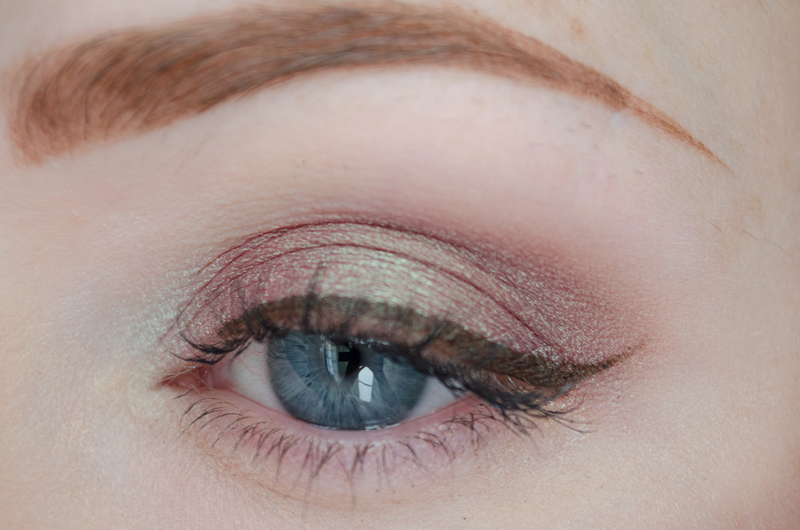 I also used Fyrinnae Knickers in a Twist in the outer V, and MAC Fluidine in Dipdown for the liner. 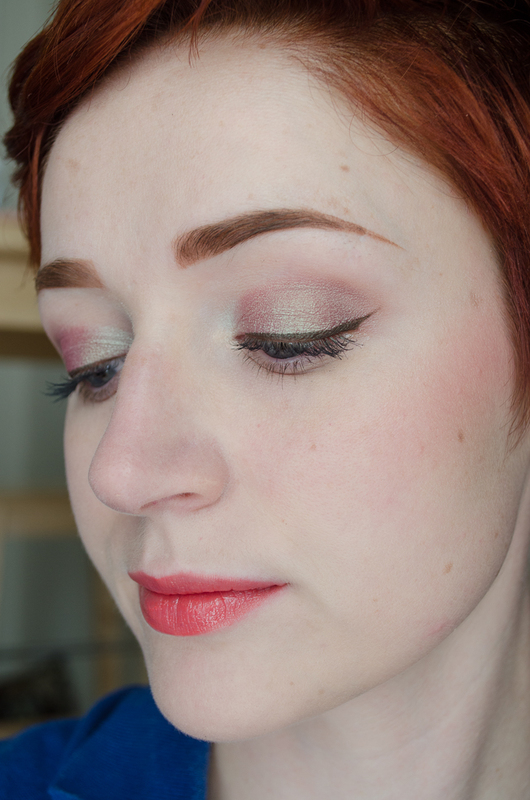 I’ve started to use the Mac 208 angled brow brush with the gel liner and I love it so far. The bristles are dense enough for me, and it’s soooo tiny, I think it helps with my precision. Then Shiro 1-Up blush was my perfect work day choice, and my beloved Anastasia dip brow is forcing me to leave my brow wiz pencil love of a year in the dust. 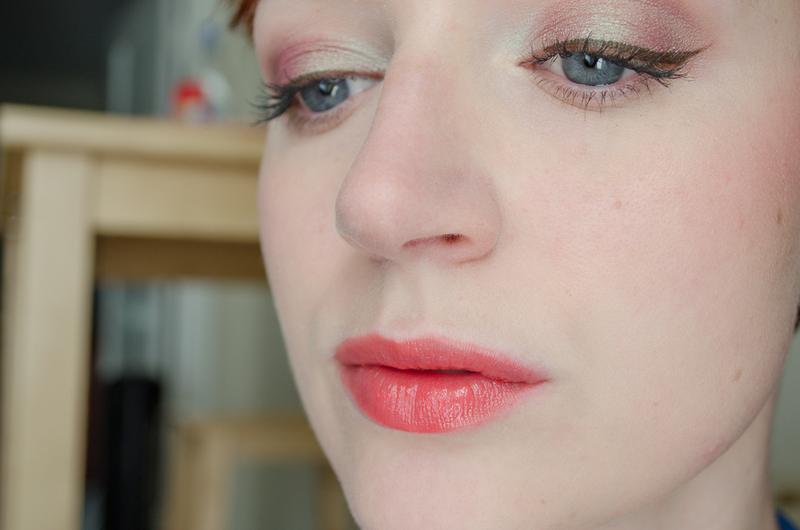 Another neat surprise– this is another custom Shiro gloss in a BEAUTIFUL orangey tone (I have a coral problem, OK?!). 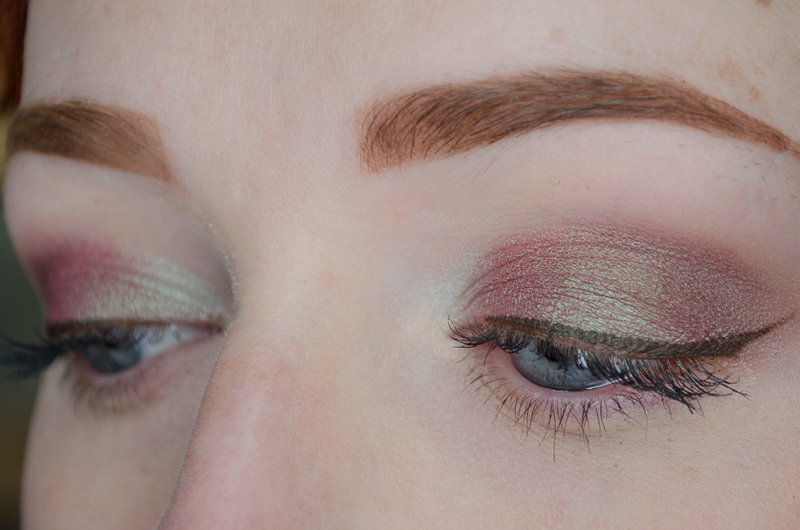 It is very similar to Fyrinnae’s Meloncholy, but I think Meloncholy is slightly more pink, whereas this is more orange in real life, or at least when swatched. I don’t know, my skin tone seems to turn every color pink, unless it’s literally a traffic cone orange like OCC Beta. More on this gloss later (I’ll give it its own comparison post), but for now, I’m as in love with it as with my Dolce Shiro! 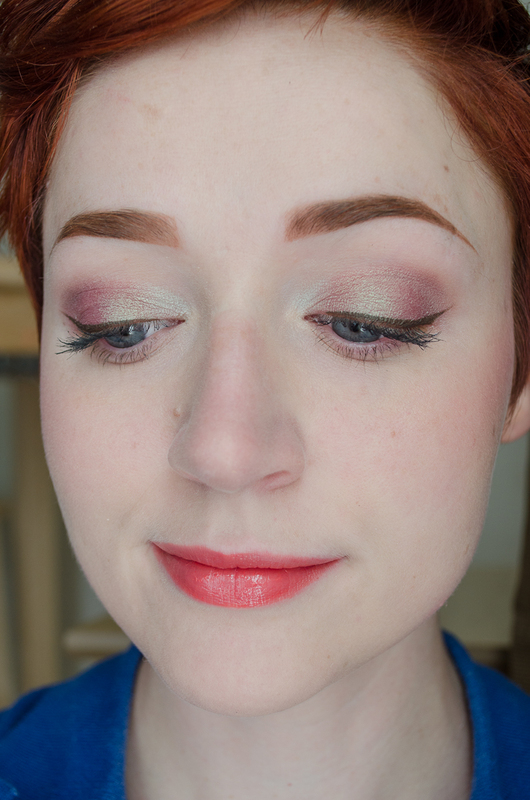 Take that, work day, I’ll have flashy eyes if I want to, even IF it’s 100 degrees out! By the end of the day my makeup looked far from perfect, but I was really surprised at how well everything lasted (sadly I opted for no photos, yes, disappointing). I’ve been using the Palladio herbal foundation primer for about 6 or 7 months now, and it works super well with my MUFE HD foundation, doesn’t break me out, and actually seems to make a great difference in lasting power. 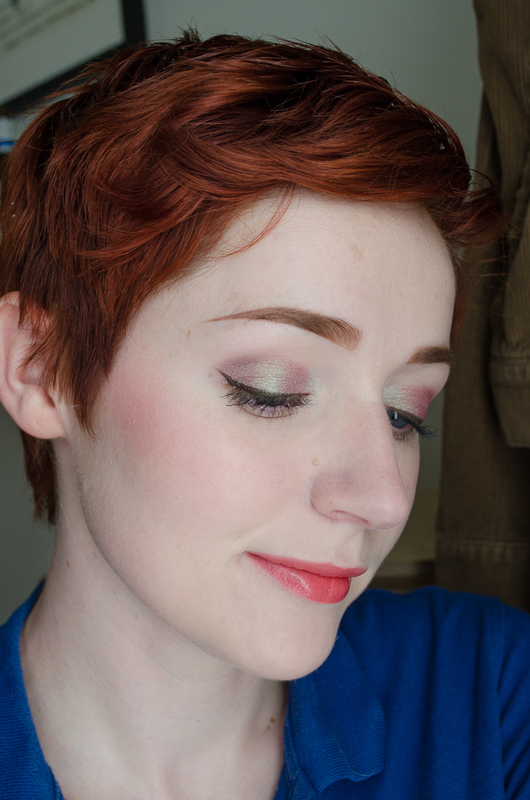 I’m giving up on applying foundation the Wayne Goss style, though (powder under foundation)– I end up looking pretty cakey and I honestly don’t think it increases the wear time for me enough to really make a difference. 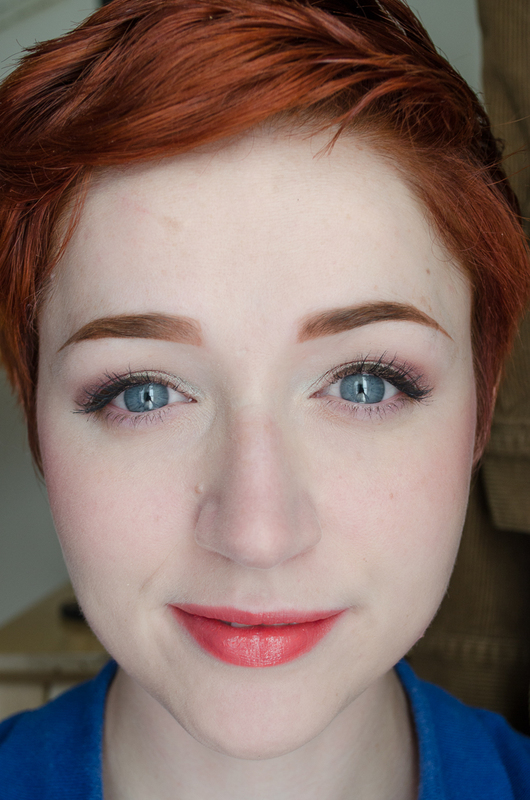 I applied foundation regular style here (primer, foundation, powder) and I think it’s more natural looking, overall. I’ll just have to be envious of those people who it creates the perfect finish for! Lovely as always! The more I see you post about Jade Ghost/Candied Apple, the more I realize my life isn’t complete without them. GIRL you need to get them in your life, they are amazing! 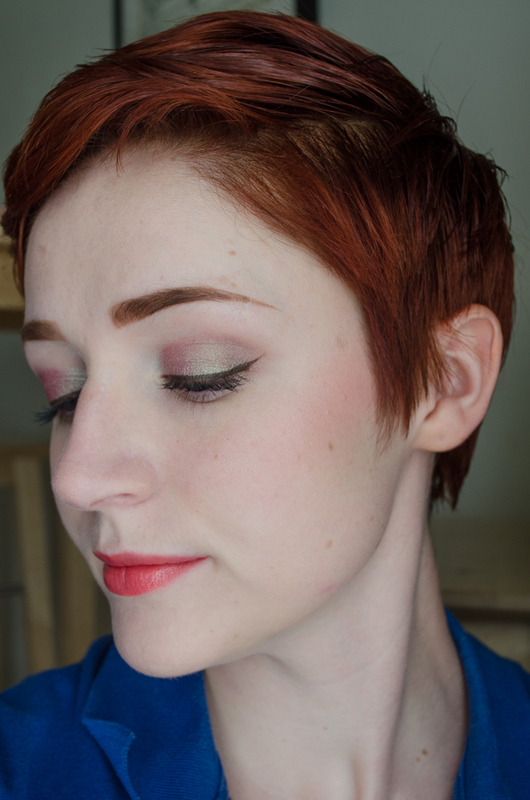 The duochrome on Candied Apple blow me away every time. I should have a post about the gloss up next week, I just need to wait for the right moment, but Caitlin did it again, she is amazing!